Help is in the offing for school children whose families can't afford school supplies for classes beginning next month. Catholic Charities of Brooklyn and state Sen. Martin Golden (R-Brooklyn) have arranged a collection drive for local school kids. 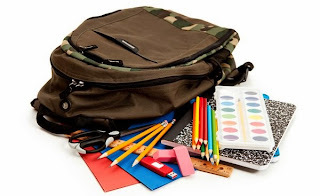 If you'd like to donate new school supplies -- such as notebooks, crayons, backpacks, pens, pencils, crayons, rulers, highlighters, washable glue sticks, pocket calculators, 2-pocket folders, index cards – you can drop them off on or before Friday, Aug. 15 at either of Golden's district offices, 7408-5th Ave.or 3604 Quentin Road. For more information, call 718-238-6044.